Banff National Park and its environs represent one of the best testing sites for innovative roadway mitigation - wildlife passages in the world. Dr. Tony Clevenger has studied the performance of the Parks Canada mitigation measures that were designed to reduce fragmentation of wildlife habitat. The Banff research is recognized by transportation, wildlife and land management agencies as a leading source of information for the field of road ecology, providing science-based guidance for resolving highway-wildlife conflicts throughout North America and abroad. Please click here for recent media coverage. Please click here for a map of the general project area. Please click here to view a Google Earth fly-thru of the wildlife overpasses and underpasses on the Trans-Canada Highway in Banff National Park. The pink triangles indicate crossing structures that are currently under construction, and the red triangles indicate existing wildlife underpasses and overpasses. 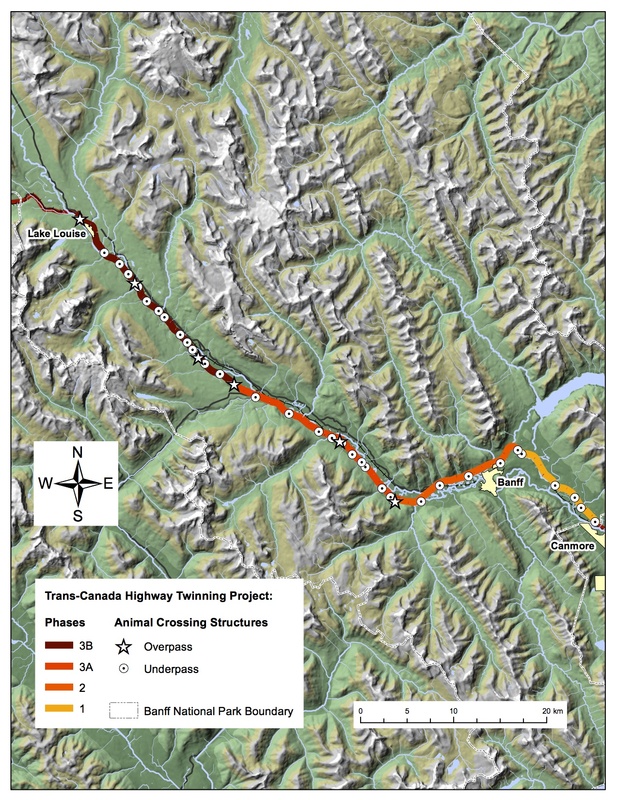 Please click here to view an interactive map showing wildlife crossing structures in Banff National Park. 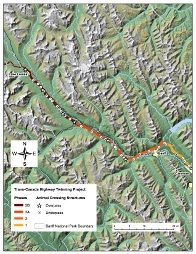 The map includes links to other Highway Wilding interactive maps (click on 'About this map' in the top right), as well as charts, graphs and images about the crossing structures that Highway Wilding are monitoring along the Trans-Canada Highway within Banff National Park. 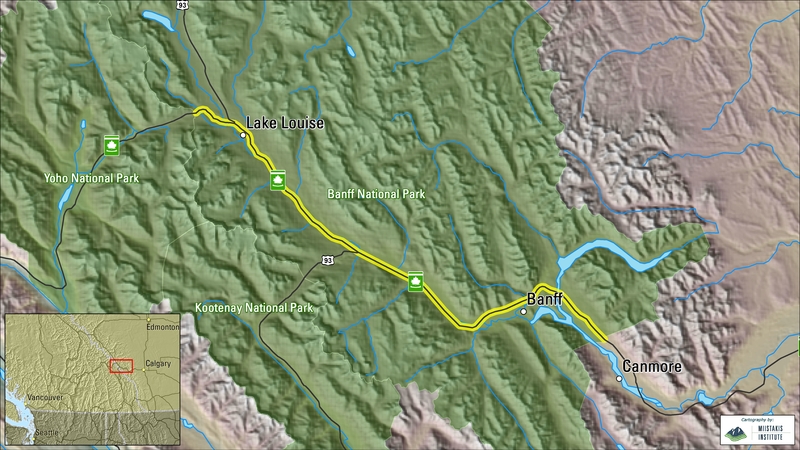 Please click here to view a Google Earth directory of wildlife crossing structures in Banff National Park, showing crossing types, phases of construction, alphabetical listing and images from each crossing structure. Please note you must have Google Earth installed on your system.